We all take special care to protect our eyes from the sun’s harmful UV rays; but what about the harmful effects of blue light rays? Usage of blue light emitting gadgets before bedtime prolongs the time it takes to fall asleep, delays the circadian clock, suppresses levels of the “darkness hormone” melatonin. Sources of blue light include the sun, digital screens (TVs, computers, laptops, smart phones and tablets), electronic devices, and fluorescent and LED lighting. Digital Screens emit blue light which are so bright that at night, brain gets confused by that light. Blue wavelengths—which are beneficial during daylight hours because they boost attention, reaction times, and mood—seem to be the most disruptive at night. This causes the brain to stop producing melatonin, a hormone that gives body the “time to sleep” commands. Because of this, digital screen light can disrupt sleep cycle, making it harder to fall and stay asleep. Changes in sleep patterns can in turn shift the body’s natural clock, known as its circadian rhythm. Studies have shown that shifts in this clock can have devastating health effects because it controls not only our wakefulness but also individual clocks that dictate function in the body’s organs. Research also shows that it may contribute to the causation of cancer, diabetes, heart disease, and even obesity. The visible wavelengths – which include the harmful blue wavelengths – pass right through the pupil and are absorbed by the retina. When blue light hits the retina, its high energy mixes with oxygen creating a destructive force that destroys photoreceptor and retinal pigment epithelium cells (RPE). Over time, this process can lead to Age‐related Macular Degeneration, (AMD). Children and teenagers (ages 8-18) spend around 7 hours a day consuming electronic media in today’s increasingly technological society. 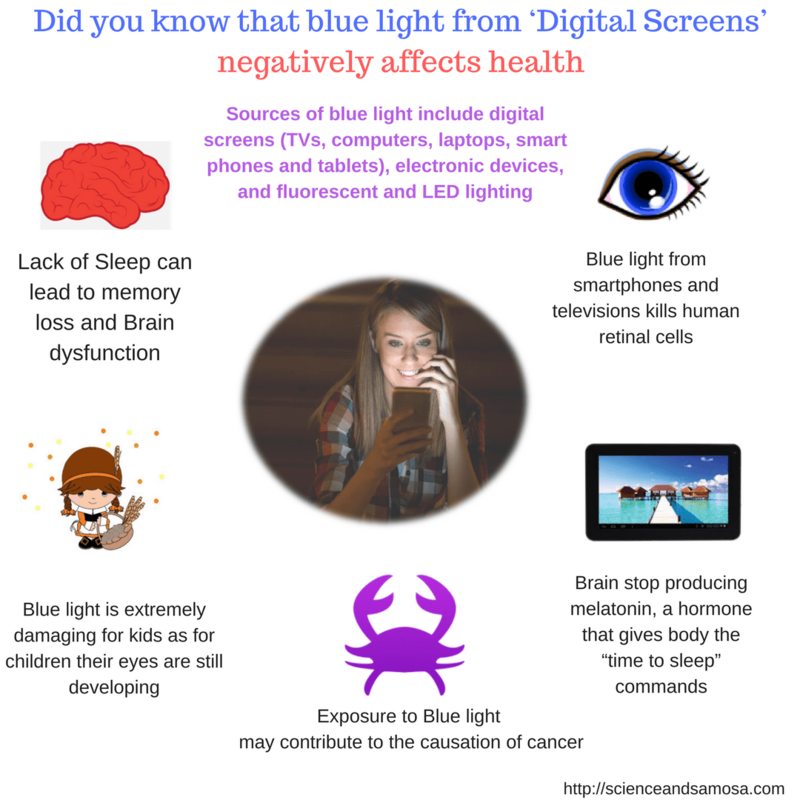 Blue light is extremely damaging for kids as for children their eyes are still developing, and they may not have the protective pigments in their eyes to help filter out some of this blue light. For children aged 2-4 screen time should be limited to less than 1 hour per day. For children aged 5-11 and 12-17 less than 2 hours of screen time per day. Use dim red lights for night lights. Red light has the least power to shift circadian rhythm and suppress melatonin. Avoid looking at bright screens beginning two to three hours before bed. Use orange tinted blue light blocking glasses also called blue blockers to counter such light effects. They filter out the short wavelengths in the blue range portion of the spectrum. LEDs with an emission peak of around 470–480 nm should be preferred to LEDs that have an emission peak below 450 nm. Ensure your child has computer glasses to wear that have a blue-blocking coating while they are on devices to prevent the blue light from entering their eyes. Expose yourself to lots of bright light during the day, which will boost your ability to sleep at night, as well as your mood and alertness during daylight. Useful and informative post , Yes dark circles in a common problem these days even in kids , might be because of this . Your post is alarming for all those who are busy on social networks.. I am too one of them, will definitely try to stay away as much as feasible for me.. This post is the need of hour. I must say it has useful tips and information we all must read. 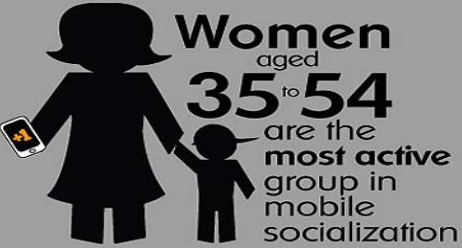 Your post is really helpful for all specially for moms who can guide their children with your post information. Your study on blue light effects is really important to understand coz these days usage of gadgets by children uncreasing day by day. I will also do steps for decreasing my phone usage. Thanks for giving so much important info. The 20 20 20 rule is very effective!! I have startes to shut down all the electronic devices and put my cell phone on aeroplane mode before going to sleep. And it has improved my sleep quality. A great post and a must read for all of us who are continuously keeping eyes on gadgets. True true, the other day optician prescribed anti-blue lens to my kids. I m going to get one for me too. Whattt!!! I never knew about it! Now i m always going to keep my phone on read mode! Really got a lot of information from this post. I thought this article is so good. Informative post. Thanks for sharing this.